Although the deadline for filing taxes has come and gone, taxpayers are still permitted to make changes to their tax returns. 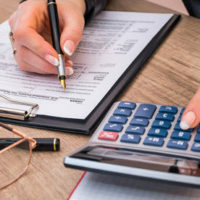 Making these changes is important, which is especially true for those who believe that their mistake may require them to pay additional taxes, as underpaying can lead to hefty fines and other penalties. Fortunately, catching a mistake early on can save you money and time, so if you are concerned about a defect in your own tax return, it is critical to speak with an experienced Florida tax attorney who can ensure that your documents are properly amended and submitted. Filing taxes can be stressful and some taxpayers understandably make mistakes. Such mistakes can range from failing to change their filing status or claiming an incorrect income to miscalculating deductions or failing to submit necessary documentation. Fortunately, it is still possible to amend returns and correct these errors, although there are specific rules with which taxpayers must comply. For instance, taxpayers cannot file amended returns electronically and must print and complete Form 1040X before sending it to the listed address. Taxpayers are also not required to fix certain mistakes, such as math errors or a missing form, as the IRS will usually automatically correct these mistakes. When to file generally, to claim a refund, you must file Form 1040X within three years from the date you filed your original return or within two years from the date you paid the tax, whichever is later. It is also possible to make changes to more than one tax return. In these situations the taxpayer must file a separate form for each tax year. Each year’s form should also be mailed separately. If a taxpayer uses other forms to make changes, he or she must make sure to attach them with Form 1040X. Finally, taxpayers who are expecting to receive a refund should wait to file an amendment until their original refund has been issued, which will help ensure that the taxpayer receives the correct amount. However, if a taxpayer owes more taxes, he or she should file an amendment and pay the amount as soon as possible. Failing to do so can lead to heavy penalties and the accumulation of interest payments. It is also possible for taxpayers to track their amended returns, usually within three weeks of the date of filing. Tax season is a stressful time for many taxpayers and it is not uncommon for people to make errors when filing. If you submitted your taxes, but now realize that you made an error, don’t panic! There’s still time to make changes and avoid incurring any major penalties or owing back taxes, so if you have concerns about your recently filed taxes, please contact Ronald Cutler, P.A. at 386-490-9949 to set up a consultation with a knowledgeable tax attorney who can explain your legal options and walk you through the process of amending your return.